Many garment brands have their clothes made in factories in Bangladesh. Until a few years ago, many of these factories were no more than death traps. A safety programme, in which over 200 brands participate, has since 2013 been working to make those factories into safe workplaces. This programme however ends in May and only a quarter of the brands that were part of the programme before have signaled that they will stay involved. Is your favourite brand respecting their workers and does it care about their lives? Check out our list of who did and did not sign the 2018 Bangladesh Safety Accord here. [2 minutes] Sign a petition! - Urge Abercrombie & Fitch to take their responsibility towards workers (ILRF). - Tell Abercrombie & Fitch, GAP and VF Corp to sign now (Green America). [5 minutes] Tell Abercrombie & Fitch, the North Face and IKEA on social media to stop dragging their feet and take responsibility now. 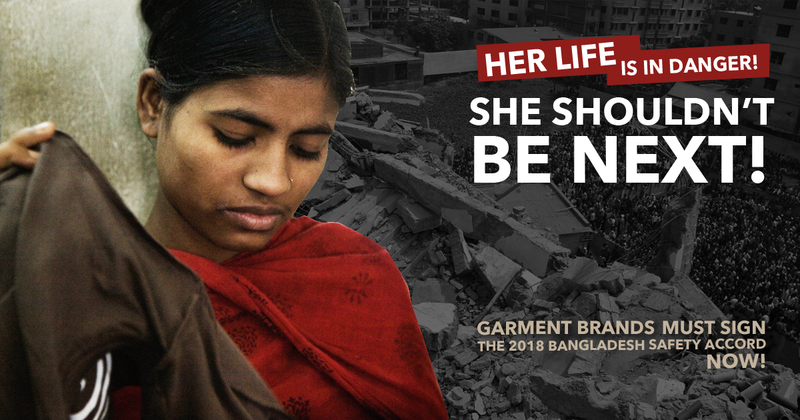 When in 2013 the Rana Plaza building collapsed - killing 1,134 workers - it was clear that something needed to change to address the notoriously unsafe Bangladesh garment industry. Only a few weeks later the Bangladesh Safety Accord was launched. In the past few years, the Accord has carried out inspections, overseen repairs and trained workers in the field of safety covering over 1,600 factories supplying more than 200 brands. This programme is due to end on 15 May 2018. A new Transition Accord is ready to take over, but it needs commitment from brands to be able to continue its work and to protect as many workers as possible. 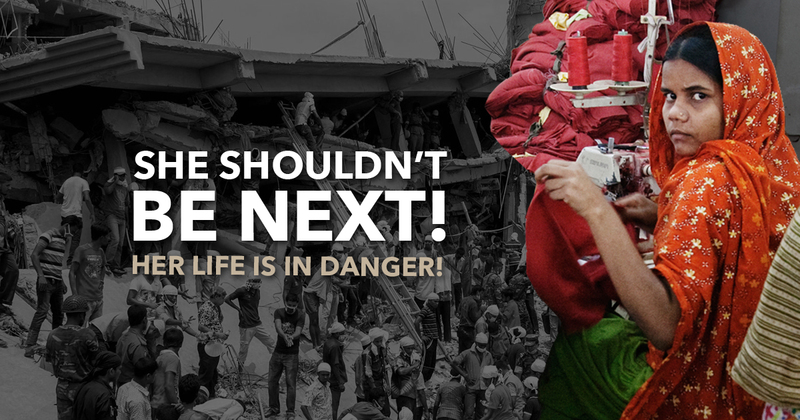 There is no other credible way to keep workers in Bangladesh safe, whatever brands say. To find out more about why brands should sign on, you can read this blog, and this background memo. Read more about the current Bangladesh Accord here.